Trulzsch K, Roggenkamp A, Pelludat C, Rakin A, Jacobi C, Heesemann J., Cloning and characterization of the gene encoding periplasmic 2’,3’-cyclic phosphodiesterase of Yersinia enterocolitica O:8. Microbiology (Reading, Engl. ), 2001, 147:203-213. Applications: A labeled 2',3'-cyclic nucleotide phosphodiester. 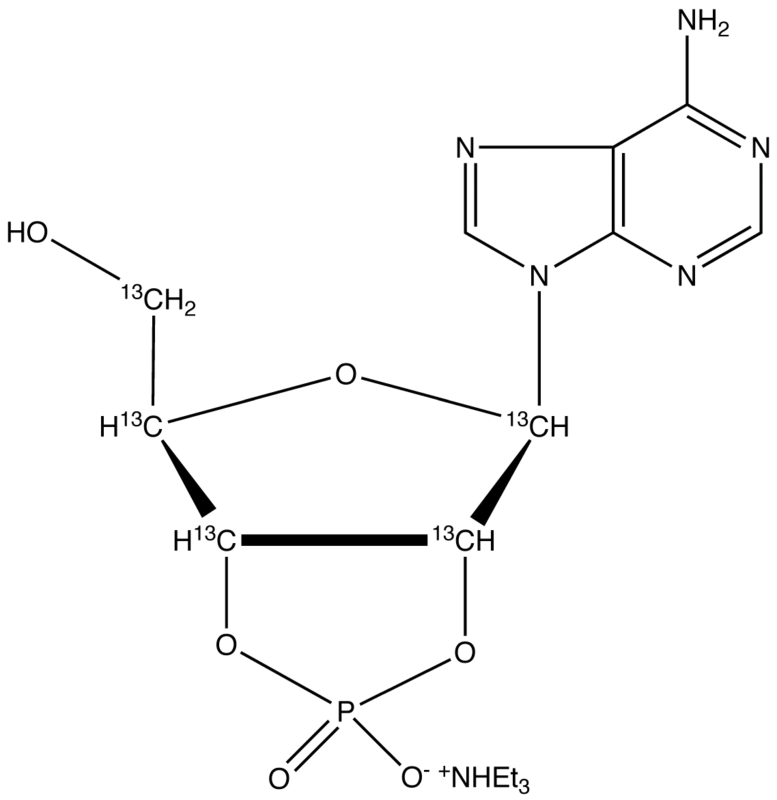 The compound is an intermediate formed during the hydrolysis of RNA by the ribonuclease I.